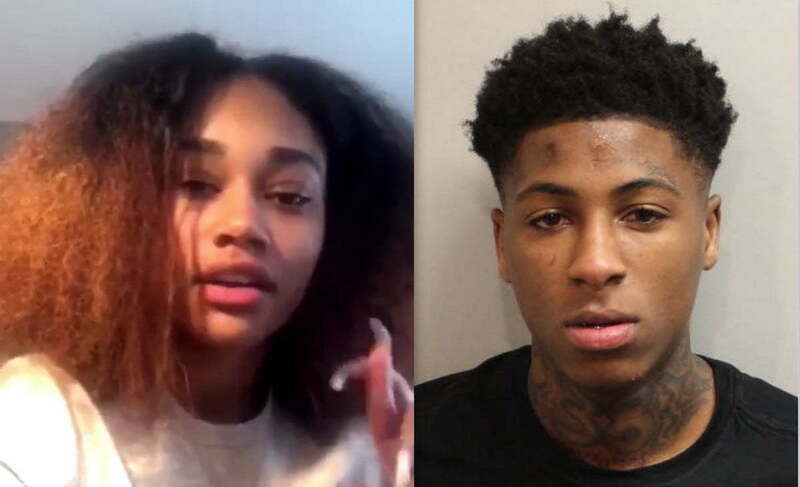 Rapper NBA Youngboy is currently behind bars and his girlfriend Jania is speaking out on his alleged assault. The Baton Rouge rapper was arrested on Saturday in Tallahassee, Florida and charged with assault and kidnapping. The 18-year-old rapper is in a world of legal troubles and it seems like his past is catching up with him. Here is where things got interesting. The rapper and his girlfriend, Jania, were at a hotel and somehow a fight broke out. Surveillance footage from the hotel lobby has since hit the net showing him body slamming his girlfriend and dragging her. As for the video in the hotel hallway, she claimed that they were just playing and that’s about it, but you can watch the video below and judge for yourself. NBA YoungBoy had a show on Saturday night in Tallahassee but he never showed up, TMZ reported. Cops caught up to him on his tour bus and arrested him for an outstanding warrant. Bottomline is, even if NBA Youngboy is abusing her, she clearly doesn’t want any help from anyone.